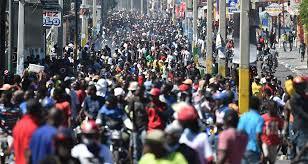 On the occasion of the second anniversary of the accession of President Jovenel Moise to power, on February 7, 2019, the population decided to invest the streets to spit out its anger and demand his departure, denouncing, among others: the systematic rise the price of basic necessities, the accelerated devaluation of the national currency; the abject poverty in which she flounders; wasting scarce resources, mismanagement of public money; the arrest of the embezzlers of Petrocaribe funds, which are valued at more than US $ 4 billion, and the seizure of their property, including of Mr. Jovenel Moïse, whose name appears in the January 31, 2019 audit report of the Superior Court of Accounts and Administrative Disputes (CSC / CA) as one of the shareholders of the companies COPHENER and AGRITRANS; the failure of the President’s campaign promises. • In the department of the North, more precisely in Cap Haitian, Reverend Joachim Roboham Armantua died asphyxiated by tear gas. 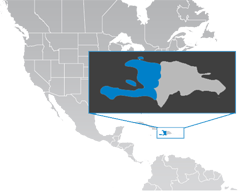 • In Artibonite, Gonaïves, at least two (2) people, Diamond Augustin and Ecclesiaste Libéral aka Ayito, were killed and ten (10) others wounded. • In the Center department, in Mirebalais, Darline Lubin, a young woman, was crushed by a truck after police officers forced her to remove barricades erected by protesters; ten (10) people were injured and two (2) others had respiratory complications. • In the West, several people were killed by PNH agents, including Thelusma Baggio, a 14-year-old teenager who died in front of his mother. Human rights organizations, signatories of the memo, are appalled by these tragic deaths, which are a flagrant violation of the right to life and require light to be shed on the circumstances of these killings. Human rights organizations reaffirm that the demands of the angry population are just and in line with the principles governing any society that wants to be democratic. Invested with a mandate of five (5) years and installed on February 7, 2017, the President of the Republic has an obligation of results, mainly that of improving the living conditions of the population. Unfortunately, the catastrophic management of the res publica greatly aggravates the misery of the population. It is therefore legitimate for this chaotic management to be denounced. However, they regret that property has been burned and / or looted and assert that the population should act with respect for the rights of all. For its part, the Haitian National Police, must remain professional. Any conduct contrary to the principles of the institution must be punished in accordance with the law, apparently there have been targeted executions. In addition, the political opposition, part of the crisis, must propose clear solutions to the nation for a way out of the crisis, support the demonstrations is not sufficient. Finally, these signatory human rights organizations present their condolences to the bereaved families and ask the protagonists to assume their responsibilities, finding a way out of the crisis.